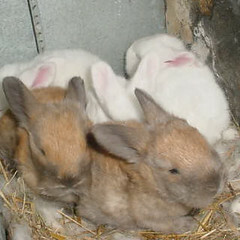 As requested by Josephine, here are a few peeks into nest boxes in the bunny barn. Eager for attention, these little ones run right to the front of the cage. 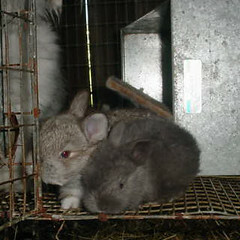 This is a chocolate chinchilla on the left and a lilac on the right. You can see where they are already developing a lot of longer fur around their faces that will be the furnishings. Woolybun's Crystal is taking great care of her nice litter. These bunnies are younger, just venturing out and appreciative of their warm nest on cool mornings. The two in the front are torts, probably black tort or maybe chocolate tort. Younger still, Angel's litter is still piling cozily in the nest box away from any possibility of chill. All of their eyes are open and they come out to eat, but they haven't been playing much yet. 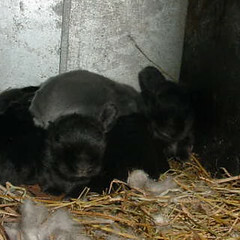 The litter is mostly black but there are two blue bunnies. 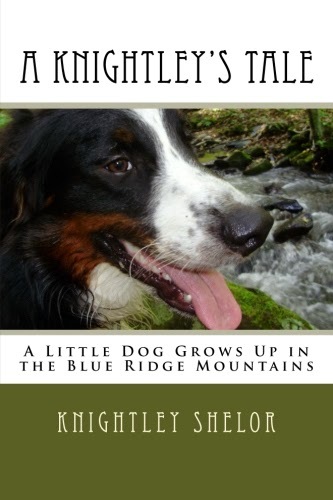 You can see one here, piled on top!